...I started blogging about rubbish. That sounds like a bit of a confession, especially since this blog was intended to last for eight weeks, but I'll save you the pain of too much personal reminiscing. If you really want a bit of that, check out this post from last year and this special celebratory number from 2009. Instead of looking back, I want to take this opportunity to cast our minds to the future and how the subject of waste is going to remain a hot and relevant topic. 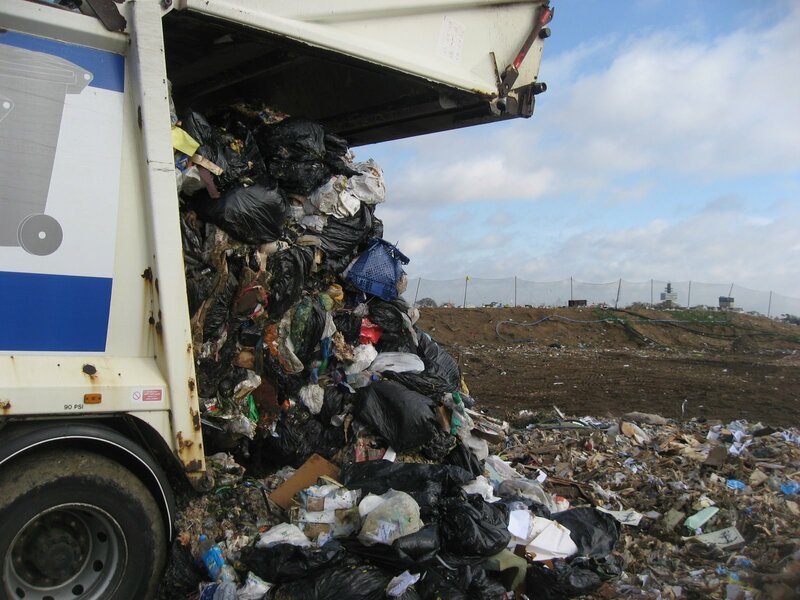 For instance it won't be long until April, when the cost of throwing rubbish into landfill will suddenly rise to £56 per tonne, and if you think that's steep, by 2014 we'll be looking at a cost of £80 tonne. When you consider that landfill tax was just £24 per tonne when I started this blog, it's easy to see the financial incentives for councils to stop burying our rubbish and encourage householders to divert it to recycling instead. In fact, our local paper published today news that if Suffolk councils did nothing about the amount of waste going to landfill, the county's tax bill would rise from £8,253,739 in 2010 to £13,756,232 in 2014. Woah - that would be some burden on us taxpayers! So, it's a good job our council is pretty progressive with its recycling streams (Suffolk is 5th in the league table, recycling 50.6% of our municipal waste). There are plans in place locally, within councils and at grassroots level to meet even higher targets by 2015. What really concerns me though, is that across the UK, the public sector is hitting a time of real uncertainty, with severe budget cuts, council reorganisations and redundancies. Frontline services are being hit as well as a range of services across the board, so it will be no surprise if some recycling facilities are reassessed in accordance with efficiencies. However, I remain hopeful that core services will remain unaffected. But it's a reminder that the emphasis must also focus on the concept of pre-cycling and REDUCING the amount of unnecessary materials that end up in our bins in the first place. As consumers, we have the power to make a personal switch from a disposable culture to reusable products, which can bring personal economic benefits as well as environmental gains. It's also a good reason to bolster the "recycled market", by heightening our support for products that contain recycled materials and encourage companies and brands to switch to recycled components if they don't do so already. A lot of progress has been made within the waste sector in the last few years and I still think there are many more exciting developments to come. When I first started The Rubbish Diet, the standard statistic regarding food waste issued by the campaign site LoveFoodHateWaste was that the average household threw away one-third of its food. In recent times I've seen communications that claim that this has now reduced to a quarter. At the same time, food waste collections have been introduced in many parts of the country, using anaerobic digestion to divert such material from landfill. In time, these facilities will become even more widespread. Elsewhere, the mixed plastics recycling market has received a further boost from WRAP to develop processing facilities in the UK and there are even real opportunities to manage previously hard-to-recycle items such as toothpaste tubes and other laminated packaging. With regard to municipal waste, this really takes us one step closer to the goals of a zero waste society and if you're as excited about this as me, then you should really check out Enval, the technology business behind the process. Using pyrolysis, the company can demonstrate a proven commercial application for recovering 100% aluminium from packaging such as food pouches and other products. The solution is also carbon neutral, using energy and fuel derived from the recycling process. I may not blog about waste as much as I used to, but one thing's for certain, raising awareness of waste reduction is still high on my agenda and is still a huge part of my many commitments. And I can only thank all those who still take time out to read this blog, my random Twitter\Facebook updates as well as those who come to my talks. I'd especially like to thank the members of the Ipswich Oddfellows group who invited me to talk at their meeting this week, offering me the opportunity to reminisce over those first few months of 2008 and how I tackled St Edmundsbury's Zero Waste Week. It was an appropriate way to celebrate this year's anniversary. So as we look forward to another year ahead, this might be an appropriate time to remind you that if you're looking for a challenge to do something about your rubbish, then please consider taking up The Rubbish Diet Challenge, which can help you tackle your rubbish in just 8 weeks. You'll find the links to the FREE online guide at the top of this blog, as well as a few anecdotes to keep you entertained. And if you need extra motivation, why not get friends and family to sponsor your challenge and do it for charity. Just eight weeks. That's all it takes to make a huge difference. Yes, just EIGHT WEEKS, to slim down your bin. But be careful. Once you delve into your rubbish, you could very well be hooked.... and you might just end up be talking about it for years! For other updates, check out my recently revamped website at www.karencannard.co.uk, which includes a range of links to current blogs, columns and much more. Happy third blogaversary! I hope there will be a few more years to come! But most of all, I look forward to the day when waste reduction is not something one needs tips and advice about, but just a plain fact of every day life. Congrats on such a wonderful 3 years hon; you've done so much good work and I hope you feel proud of everything you have achieved. I have no doubt you've inspired thousands of people all across the world in the past 3 years. Well done Almost Mrs Average. Here's to the next one! You are a fabulous inspiration Karen, and have made a huge impression of me. Everytime I see rubbish I think of you!! But it's a reminder that the emphasis must also focus on the concept of pre-cycling and REDUCING the amount of unnecessary materials that end up in our bins in the first place. Congratulations for your 3rd blogging year! I've been trying to pledge but after filling in the form it says that the page is not found. Am it too late to pledge now? Ciao. A.
Hi Karen, I've managed to pledge. Yeah! 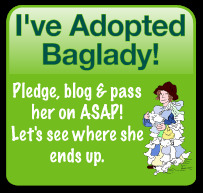 Now I'd like to add the Baglady badge to my blog but I cannot find the URL. Can pls tell me how to do it? Many thanks. Ciao. A. 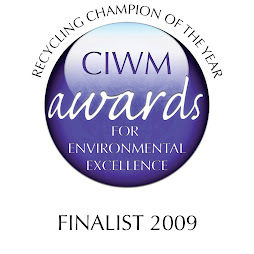 Great to see you pass the 3-year milestone since you started our Zero Waste trend. My own 3, from 5, year end in April is that bit closer. Like yourself, the basic waste, landfill aspect has broadened into other related issues, including promotion of good business practices. Enval is a good example and would certainly help my own used medicine bubble packs find a better outcome. It has been a while since my previous comment since MyZeroWaste has become the best focus. How has Zero Waste affected your own family/home in the interim? Good to see your success with Twitter. What is the best effect of using this medium? Hi Antonella - that's great news about the pledge. Re the blog badge, you can save it from here: http://4.bp.blogspot.com/_HN_jkTbObHg/TR8mK5trZII/AAAAAAAACqQ/M6YyLblY5HI/S254/baglady2.jpg Hope that helps. You made some valid points here about the constraints which are now being placed on public sector spending.Many Local Authorities have made good progress on recycling in thge last few years but now they may have to rethink their future plans for this. Finding your site made me realise I could do more than *just* doing my recycling without forcing my family to carry reusable cutlery everywhere with them. Well done, thank you and keep up the good work! Hi Girdle Girl - thanks for dropping by with a comment. Yes, it really is a worrying time, but hopefully the services won't be affected too much as long as the financial pressure of EU targets remain. It's at times like this I would love a crystal ball. Great blog well done 3 years down the line. We're doing our best to help recycle more plastics. But we think still think that the amount of farm plastic being recycled is no where near where is could be.